Hunger is a strange phenomenon unlike thirst, where you can gulp down water each and every time. So have you had enough of ‘dal-chawal’ at home or are you sick of ordering butter chicken everytime you choose to dine out in a restaurant? Does Chinese simply spell ‘Chowmein’ to you? Have ‘Samosas’ emerged as the sole synonym for your tea break every evening and are breakfasts tedious meals comprising of the age-old bread and butter? Or are you simply a believer of ‘new things are always better’? Everyone of us craves for variety and variety in food is no less than indispensable. Excessive familiarity with any food can breed contempt. Ain’t I right? The good news, however, is that I got options for you. That’s right. I provide you with a list of foods you can replace your ‘dal-chawal’ with OR NOT (let’s just say that by the end of the list, you’ll probably be on the verge of realising how great and precious that ‘dal-chawal’ actually is!) But first things first. P. S. Thank me later! 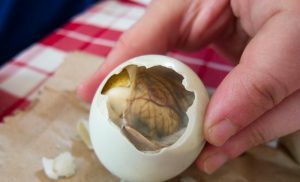 Popular in Vietnam, Philippines and Cambodia as a street food, a balut is prepared by boiling alive a duck embryo. Chili, garlic and vinegar are added. It is eaten whole from its shell, preferably accompanied with cold beer. In reality, a hole is made on top of the shell to sip the liquid inside at first. The half-formed duckling’s bones and feathers give an extra crunch to it at the end. The food is nutritious and is, in fact, taken regularly by many. The word ‘Balut’ suggests ‘wrapped’ in Filipino as well as in Malay. Fugu or blowfish is an expensive food item. But you must be thinking what possibly can be weird about a fish? But this fish is no ordinary fish. You may be a fan of Pomfret and Hilsa, but can you risk your life by having Fugu which is the second most poisonous vertebrate in the world? 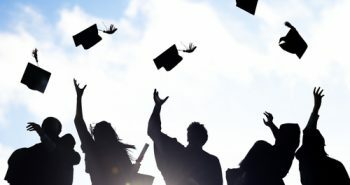 Chefs are made to go through two or three years of training – followed by an official examination that would entitle them to show off a Fugu-preparing license. Only then can they be allowed to cook Fugu. It can be deep-fried or baked. Some may even prefer it in their salads. If not cooked correctly, Fugu results in violent death. Although cooking is the key, remember the fish abounds in the toxin named ‘tetrodotoxin’ – 1,200 times deadlier than cyanide. 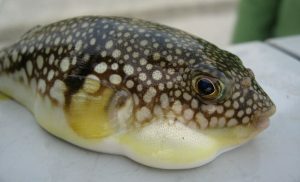 A single Japanese pufferfish can kill as many as 30 people. Since the year 2000, 20 people have lost their lives post Fugu-eating. 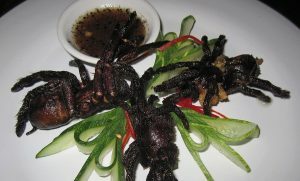 Cambodians (particularly in the town of Skuon) eat giant spiders covered with hair. In short, tarantulas. Tarantulas rose to the ocassion for combating starvation. Nevertheless, today they are a delicacy. The seasoning is thoroughly done with some salt, garlic and chili. 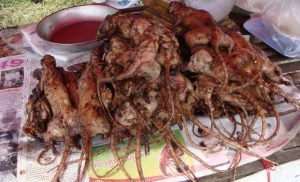 The dish typically can be served barbecued or grilled or fried or on a stick. The spiders are often blended with lime and black paper dip. No wonder they are rich in protein and taste like crab! Rats are consumed in countries like Vietnam and Kenya. They are usually fried, salted or dried. 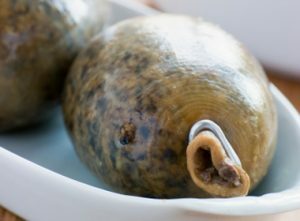 Haggis is the native of Scotland and a high source of iron and fibre. The dish contains a sheep’s heart, liver and lungs – along with oatmeal, spices, onion and stock. The boiling takes place in the sheep’s stomach itself for a few hours. 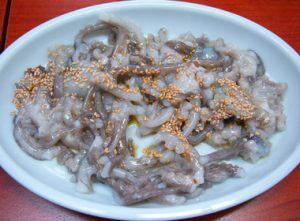 South Koreans are fond of eating live octopus whose tentacles continue to squirm. The marine water animal might be cut into pieces, depending on the size. The octopus is not cooked, instead served with sesame oil. Needless to say, the live seafood can successfully cause choking and death. Who knew eating could be such a scary and dangerous business? No, you read it just right! 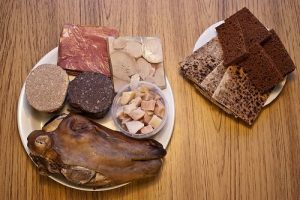 Sheep head – excluding the brain of the sheep – is devoured in Iceland. The tongue and the cheek of the sheep, they say, is the tastiest! After soaking the head in water, it is duly salted for the sake of preservation. Later it can be accordingly smoked, boiled or steamed. This aids in the loosening of meat from the cheek bone. Finally, the whole sheep head is served, escorted by potatoes, fat and mashed swede. 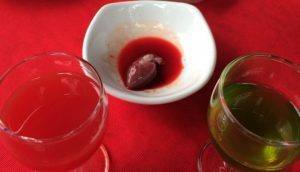 The beating heart of a Cobra, besides some of its blood, is savoured in Vietnam. The pounding of the heart can be felt as it is taken in. 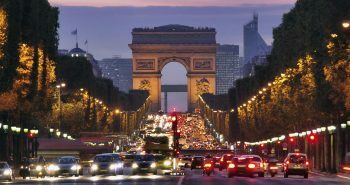 Just imagine – that is, obviously if you dare to! Fortunately and gratefully not a human brain sandwich! 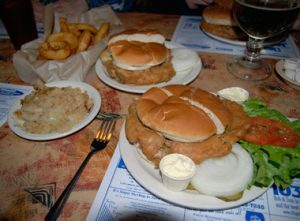 But if you happen to be in the Ohio River Valley of the United States, you might get hold of a giant fried pig brain or calf brain sandwiched between hamburger buns! This peculiar food owes its origin to Holland and Germany. High on calories, the sandwich is served with mustard and pickled onions. The brain is deep fried and battered. Until the Mad-Cow disease alarm and panic, fried brain sandwiches used to be readily obtainable in St. Louis, Missouri, USA. Let me translate that for you: Tong zi dan stands for ‘virgin boy eggs’! 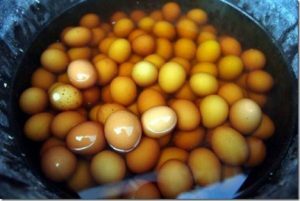 The Chinese, in the city of Dongyang, boil eggs in the urine of young school boys. The boys are, by and large, under the age of 10. The food is available mainly during Spring time of the nation. And would you like to guess the selling price of Tong zi dan? Not much, only double the rate of a standard boiled egg! Worth it? That’s the inevitable question we ponder. So which one could water your mouth or set those gastric juices flowing? Just kidding! Nevertheless, there are hundreds of weird foots eaten round the globe. Some more of them (hold your breath) are Shark Fin Soup, Water Bugs, Waxworms, Crickets, Stink Bugs, Palolo Worms, Scorpion, Whale Meat, Frog Legs, Earthworms, Bear Paw, Coakroach, Woodlice, Centipede, rotten cheese and fish, cat poo, bird’s nest soup, Ants, Tuna eyeball, Blood (collected from ducks, chickens, sheeps and cows) tofu and I can go on and on. The point here is, there are some foods that go well only with a certain section of a population or a country, to be specific. It might be perfectly normal in a particular geographical region while if taken away, it seems to be the weirdest treat you could get your stomach! Worry you not, for Fried Rice and Chili Chicken will always be there to your rescue. Although I’m sure experimentation with food is fun and exciting, ‘dal-chawal’ is not always bad either!